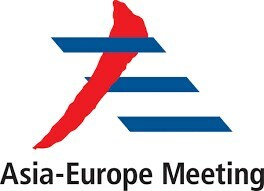 Seoul (VNA) - Economic ministers at the Asia-Europe Meeting (ASEM) have agreed to raise voice against rising protectionism trend and boost cooperation in digital infrastructure to facilitate trade and investment. Speaking to the press on September 22 following the 7th ASEM economic ministers’ meeting in Seoul, the Republic of Korea (RoK), the host country’s Minister of Trade, Industry and Energy Paik Un-gyu said the meeting discussed a wide range of issues, including trade, technology innovation and environment. Officials voiced their support for free trade and a multilateral trading system against protectionism and agreed to further discuss the issue at the 11th Ministerial Conference of the World Trade Organization (WTO) scheduled for December. ASEM partners vowed to discuss priorities and directions of cooperation with regard to trade and investment collaboration in the ASEM region, in consideration of the transformation in economic environment. According to Park, they also discussed ways to enhance digital connectivity between Asia and Europe to embrace the explosive growth of e-commerce, and agreed to step up joint work in transportation, logistics and energy. Ministers also pledged to actively implement the Paris Agreement in the ASEM region. The outcomes of the meeting will be reported to the ASEM Summit scheduled for 2018 in Brussels. At the end of the meeting, officials agreed to hold the meeting every two years and set the next venue in Europe. The two-day meeting started on September 21, attracting 250 economic and trade ministers, senior officials from 51 countries worldwide. It was the first in 12 years after the last meeting was held in the Netherlands in 2005.